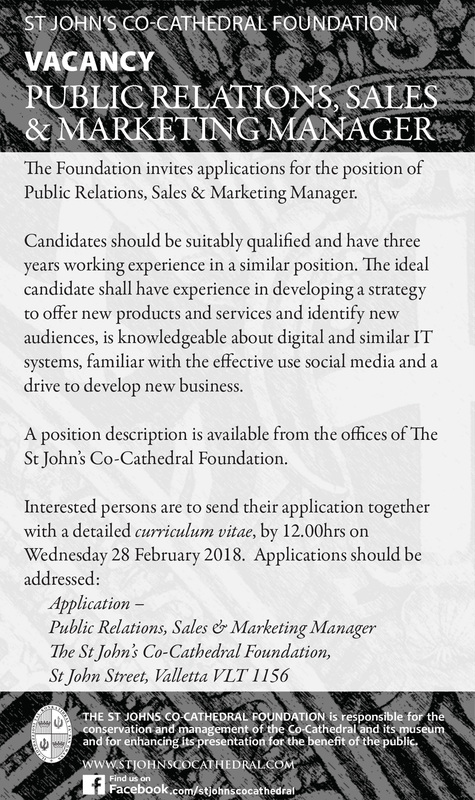 The Foundation invites applications for the position of Public Relations, Sales & Marketing Manager. Candidates should be suitably qualified and have three years working experience in a similar position. The ideal candidate shall have experience in developing a strategy to offer new products and services and identify new audiences, is knowledgeable about digital and similar IT systems, familiar with the effective use social media and a drive to develop new business.